How to Make (non-GMO) Jam! As the name of this website implies, we like to keep things nourishing and natural. I recently spent some time reading up on store-bought pectin and I was very unhappy to discover the jams I have been making for my family have been tainted with GMOs. I had unknowingly been contaminating the carefully sourced fruit and pricey turbinado sugar with the very things I strive to avoid, and I hadn’t even given it a second thought. Most brands exclaim breathlessly, “All natural pectin” or “Made from real fruit”. And this is true – it does originate from fruit. Sound okay, right? Don’t be deceived. This misleading label makes it sound as though this is nothing more than some powdered fruit. Here’s the label from the Ball pectin that was lurking in my pantry. 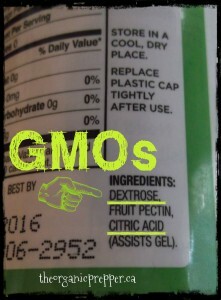 Storebought pectin contains additives that are most likely genetically modified. 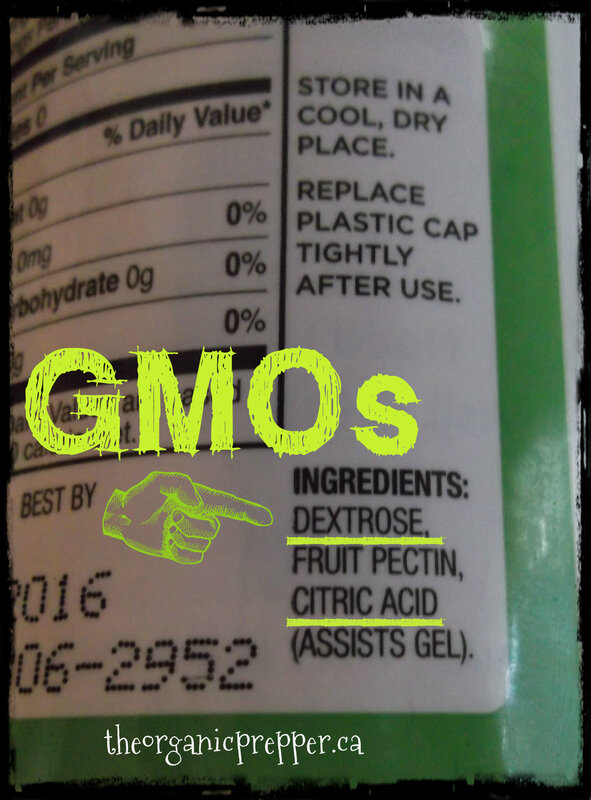 Dextrose is generally made from corn products (GMOs that are absolutely SOAKED in glyphosate). It is made from cornstarch, the main ingredient in good old High Fructose Corn Syrup. Don’t let anyone tell you that citric acid is “just Vitamin C”. It is derived from GMO mold. The main raw materials for pectin production are dried citrus peel or apple pomace, both by-products of juice production. Pomace from sugar beet is also used to a small extent. From these materials, pectin is extracted by adding hot dilute acid at pH-values from 1.5 – 3.5. During several hours of extraction, the protopectin loses some of its branching and chain length and goes into solution. After filtering, the extract is concentrated in vacuum and the pectin then precipitated by adding ethanol or isopropanol. An old technique of precipitating pectin with aluminium salts is no longer used (apart from alcohols and polyvalent cations, pectin also precipitates with proteins and detergents). 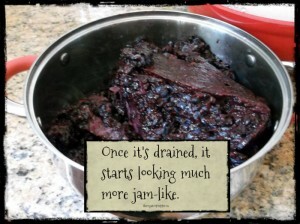 So, if you want to avoid GMOs and processed foods, what’s a homemade-jam making mama to do? Jam has been around for thousands of years. The first known book of jam recipes was written in Rome in the 1st century (source). 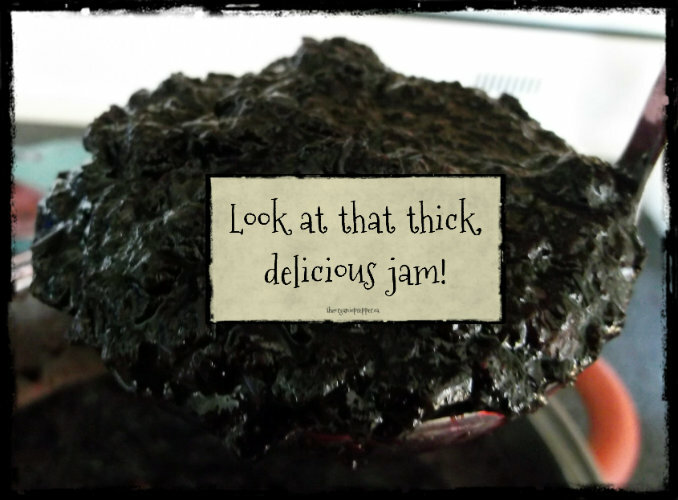 Since, I’m pretty sure our ancestors didn’t have those handy little boxes of Sure-Jel or Certo sitting in their pantries, I set out to learn how they made a thick delicious preserve to spread on their biscuits. My first attempt at breaking up with the box was to make my own pectin with green apples. While I ended up with a tasty product, it wasn’t really jam-like. It’s possible, considering the time of year, that the apples were too ripe to allow this to work for me. You can find instructions on how to make your own pectin from apples HERE. I continued to read recipes and methods from days gone by. It soon became clear that adding pectin wasn’t really necessary at all. In days past, the sugar and the fruit worked hand-in-hand to create the desired consistency. If you are determined to use pectin (some fancier jams are nicer with a thicker set-up) I strongly recommend Pomonas Universal Pectin , a non-GMO, non-toxic pectin. Don’t be put off by the higher price – you can get several batches of jam from one packet of pectin, so it works out to a similar cost as the yucky stuff. I combined bits from a few different methods and finally came up with a jam that the entire family was happy with. In comparison with the boxed pectin jam, it doesn’t gel quite as much, but after trying this jam, the texture of the other now seems slightly artificial to me. This produces a softer preserve with an incredibly intense fruit flavor. As well, when using this method, you don’t get that layer of foam that you have to skim off the top like you do with the boxed pectin method. It’s blueberry season where I live, and we’ve been walking to a neighboring berry patch and picking until our fingers are stained with purple. 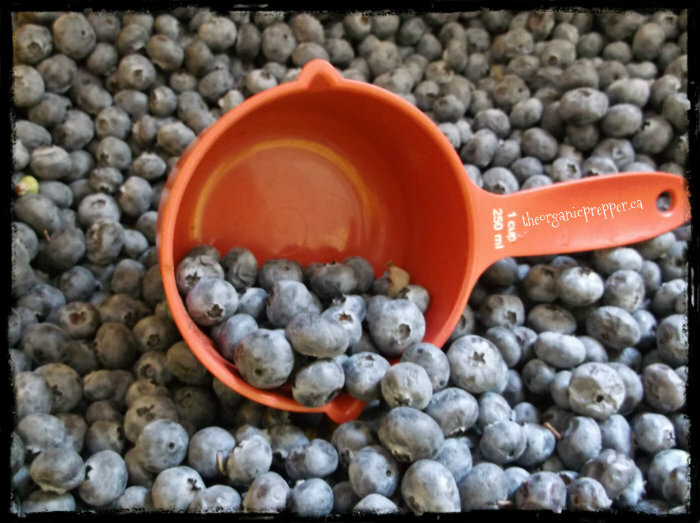 27 pounds of blueberries later, we have delicious jam and a byproduct of blueberry syrup. After 3 tasty batches of jam-that-wasn’t-jam, I combined a few methods and came up with one that will work with basically any type of fruit. 1.) Prepare your fruit. 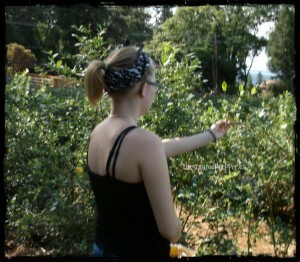 For our berries, this meant washing them and sorting them, removing little leaves and twigs, as well as berries that were shriveled. We left the odd green berry in, because less ripe fruit has more naturally occurring pectin than ripe fruit. 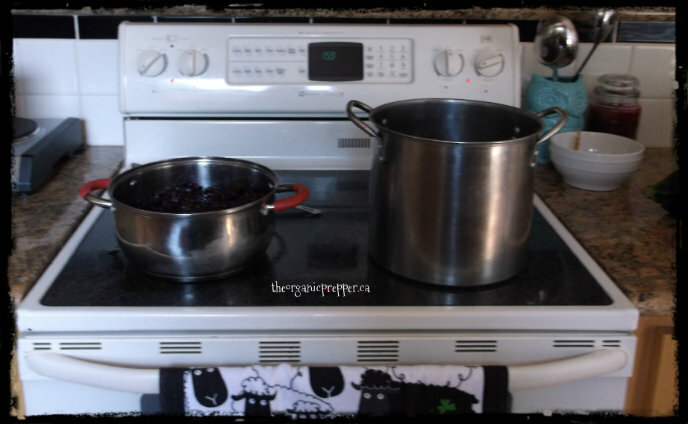 I used 7 pounds of blueberries for this batch of jam. 2.) 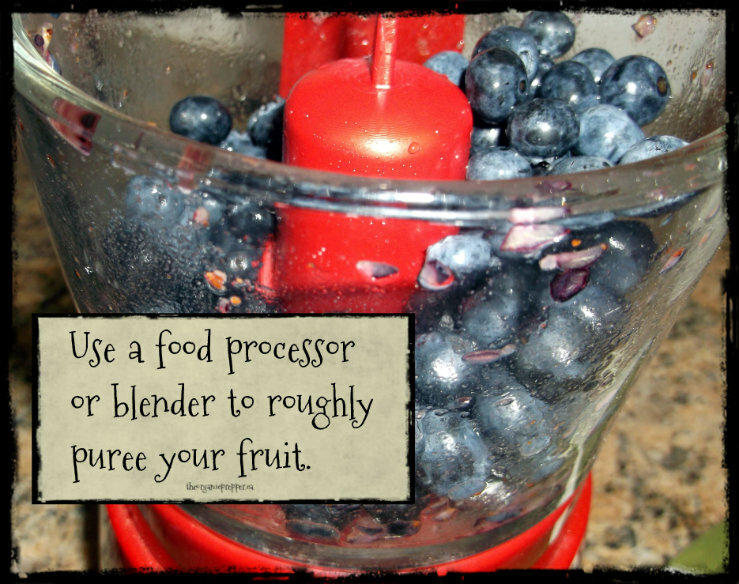 Mash, finely chop, or puree your fruit. 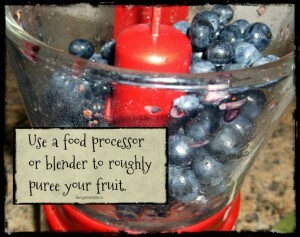 I used a blender to puree half of the fruit, and a food processor to finely chop the other half. We prefer a rough puree texture. 3.) 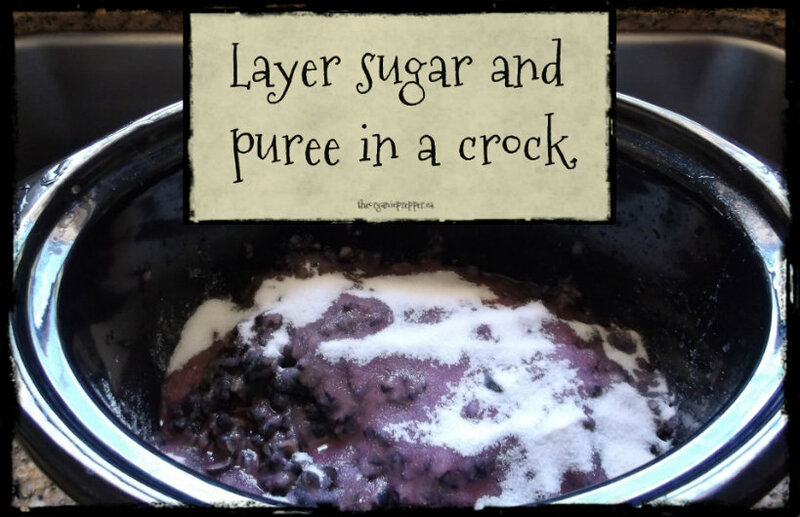 Pour this into a large crock or non-reactive bowl, layering your fruit with 3 of the cups of sugar. I used the ceramic insert from my crock-pot for this. 3.) Leave the fruit and sugar mixture in your refrigerator overnight. The juice from the fruit will combine with the sugar and form a slightly jelled texture. 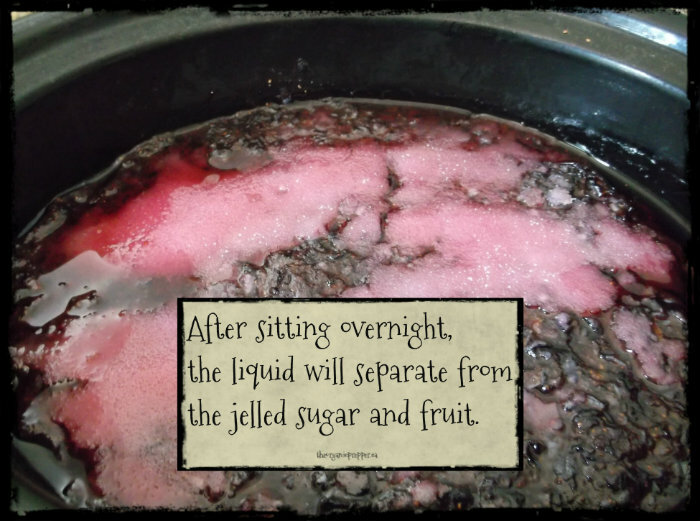 Some liquid will separate from the sugar and fruit. 4.) 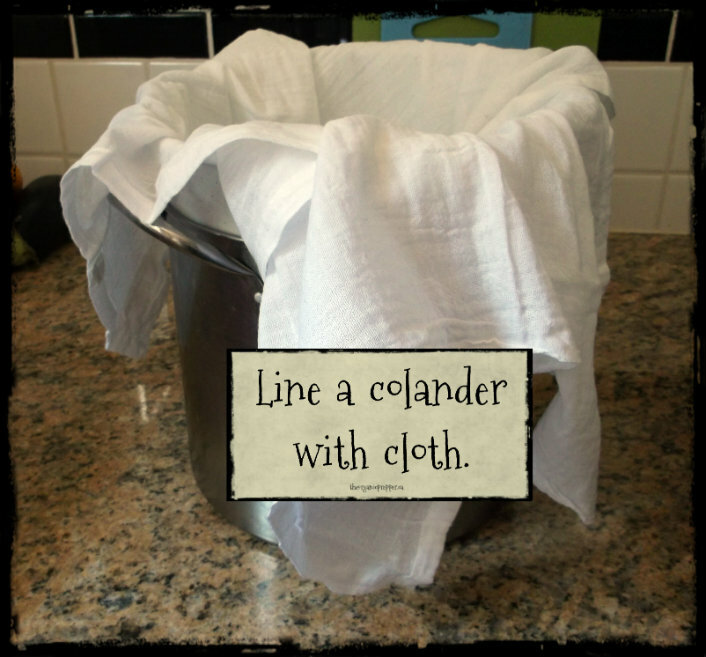 The next day, line a colander with a piece of fabric. Place the colander into a pot to catch the liquid from the fruit and sugar mixture. Pour your fruit and sugar mixture into the fabric-lined colander. Put this back in the refrigerator for at least an hour to drain. 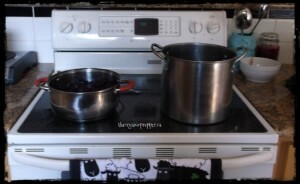 From this point on, you’ll be making two separate products: jam and fruit syrup. 6.) 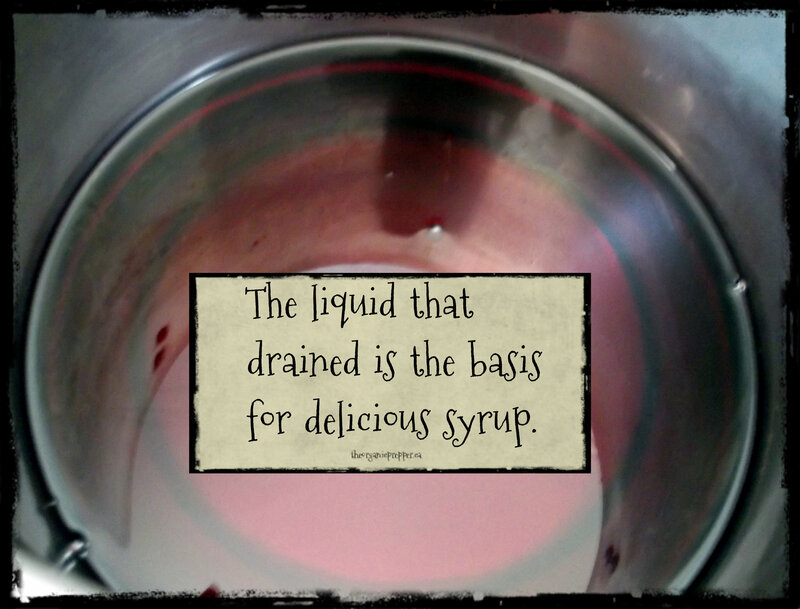 The liquid that you caught in the other pot is the basis for your fruit syrup. You’ll have about 1-2 pints of liquid. Place that on the stove and bring it to a rolling boil. Add 1/4 cup of sugar and a tbsp of lemon juice per pint and reduce heat to a simmer. I like to add one big spoonful of jam to this to add a little texture to the syrup. 7.) Meanwhile, on another burner, bring your fruit and sugar mixture to a simmer, stirring frequently. After about an hour, the texture will have thickened. 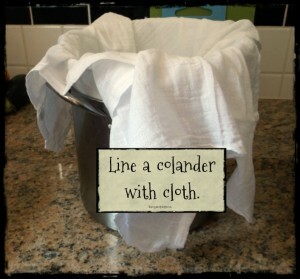 If you still have a great deal of liquid, you can use a fabric lined sieve to strain some more out. 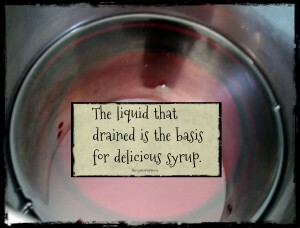 (You can add this liquid to the syrup.) Stir in 1/4 cups of lemon juice and 1 cup of sugar. Increase heat to get it simmering again. Stir almost constantly for 3-5 minutes, or until the jam reaches the desired consistency. 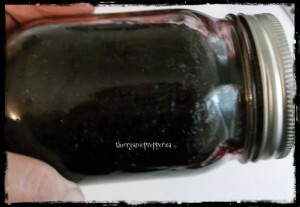 Look at how thick this jam turned out…with no toxic pectin! And there you have it…it’s easy to make an intensely fruity jam with absolutely no added pectin! This article was part of a Prepared Bloggers collaboration. This month some of the most interesting sites in the preparedness realm are dedicating an article to food preservation, which is a very important area. Check out the great links below for some very unique perspectives on preserving food!